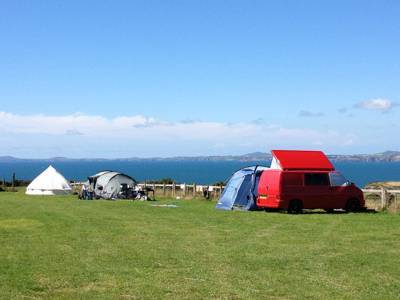 “Million dollar views for the price of a pint”, is how one camper described Rhosson Campsite. We couldn’t have put it better ourselves. 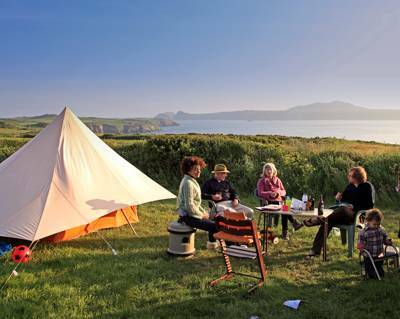 Pembrokeshire is awash with incredible camping spots but few can match the spectacular price and stonking location of Rhosson Campsite, 200 metres from the renowned coastal path. 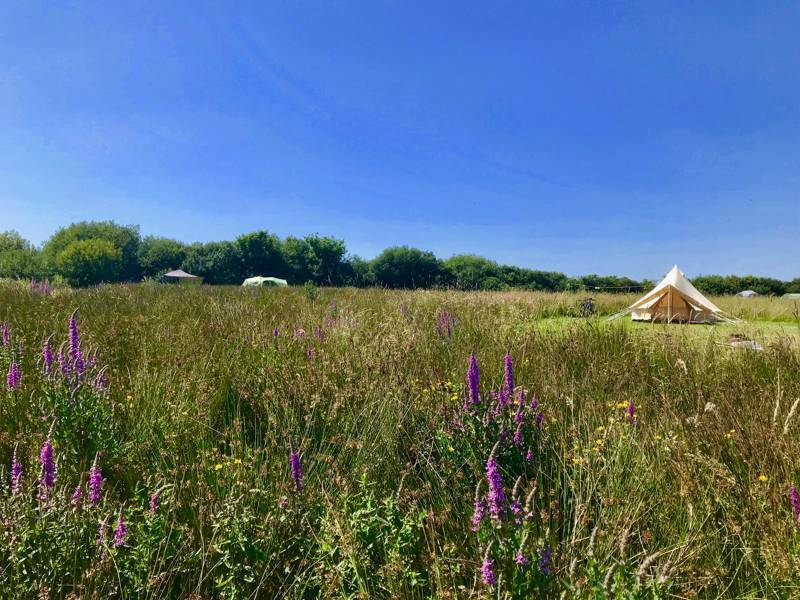 Within walking distance of historic St Davids, the UK’s smallest city, this back-to-basics, meadow campsite charges just four pounds per person (a smidgen more than a pint of bitter in the nearby Farmer’s Arms) and welcomes every type of camping abode, from skimpy expedition tents to luxury campervans and caravans. The only rules? Accept that facilities are bare and basic, keep dogs on a lead at all times and respect your fellow campers. Oh, and while campfires are permitted, just make sure they don't turn into bonfires! The main Rhosson meadow is a glorious blast from the past. There’s no tarmac entrance, just a well worn gap in the fence; no reception shop; no playground; indeed, no buildings, other than a tiny old barn that has been converted into a rustic toilet block with fresh-water taps and cold, outdoor showers. 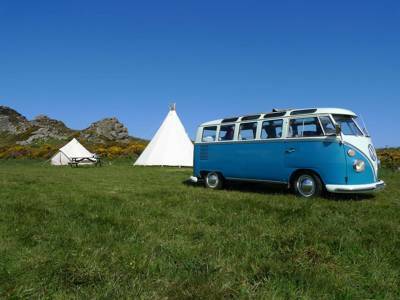 It’s a real, old-fashioned farm campsite, where the lack of modern amenities is all part of the appeal. 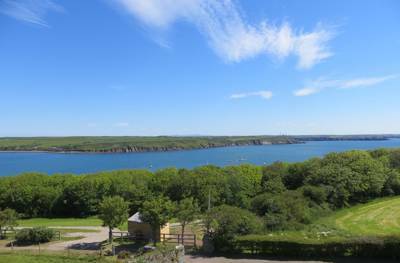 Stride down to the coastal path for a day exploring the beaches and bluffs of Pembrokeshire, cycle to renowned Whitesands Bay for an afternoon’s surfing, or simply hike up the heather-clad hunk of rock that protrudes from the adjacent meadow – a prized viewing point from which to watch the sunset. 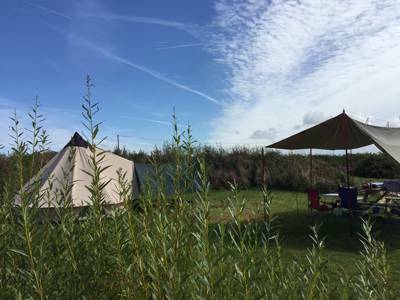 The campsite is owned by the same family that run the Voyages of Discovery boat trips from the iconic RNLI St Davids Lifeboat Station in St Justinians. It’s a 15-minute walk to get down there and, if you’re camping, you’ll get a 10% discount on your trip. It’s well worth it on a sunny day. The boats speed you out around the headland, salty wind sending your hair in all directions, then tour along the rugged coast of 640-acre Ramsey Island, where grey seals and porpoises reside in abundance. Dolphins are a frequent sight as you journey in and out, too, before landing back on terra ferma and refuelling with an extra-large ice cream. 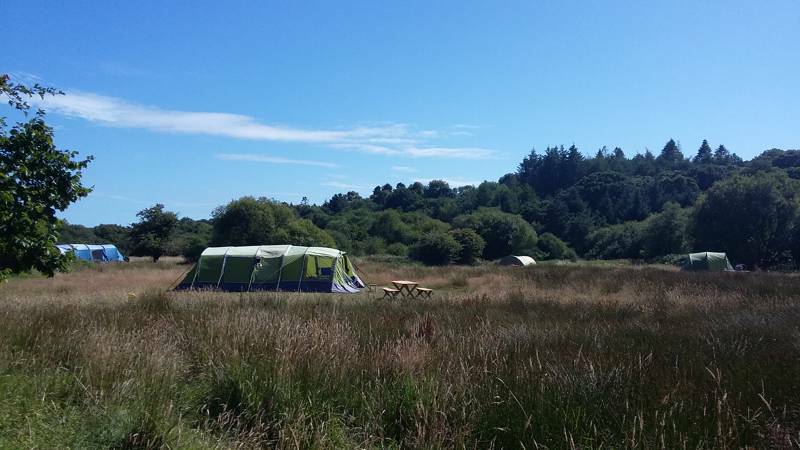 Had a fantastic nights stay at Rhosson Campsite, would definitely return for a longer stay. 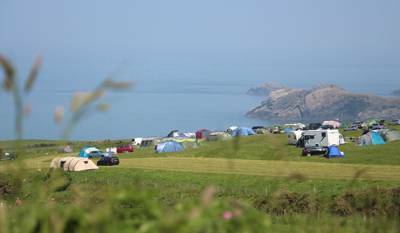 The campsite is in a perfect location with sea views, 10 minutes stroll to the costal path and 25 minute walk to the edge of St. David’s and the excellent Famer’s Arms. The facilities are basic I guess if you are used to a more commercialised site but were great for us, we found them clean and tidy. A great, simple and peaceful site. Thank goodness campsites like this still exist! 5 stars normally means swanky toilet block, warm welcome, everything provided. Not so here! Here it means a field with dirt cheap rates, lovely view, a basic loo and cold shower, and no stress whatsoever. No reception, no designated pitches, no check in or out times, just an honesty box and a pitch up wherever and whenever you like policy. 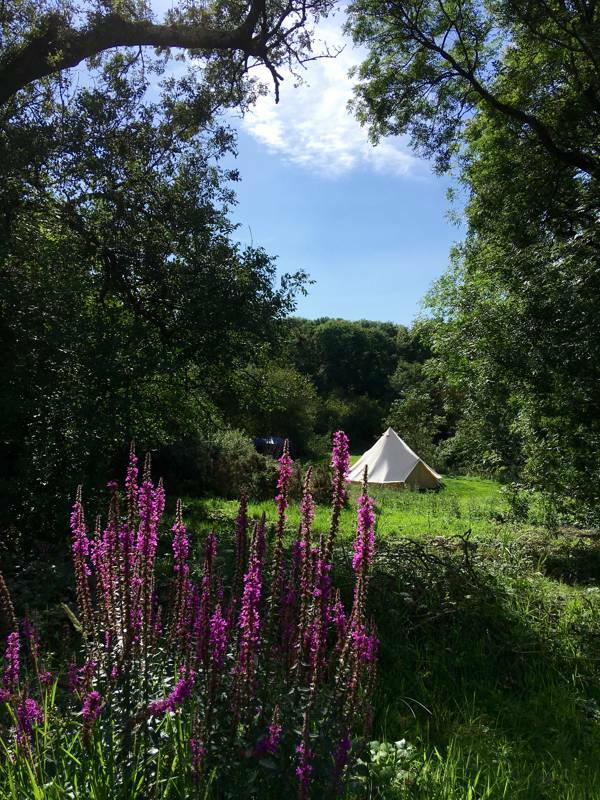 Lots of space and 15 minutes walk from a gorgeous beach (and a much more expensive campsite!) in a beautiful part of Pembrokeshie. You can walk all the way round the headland from here. 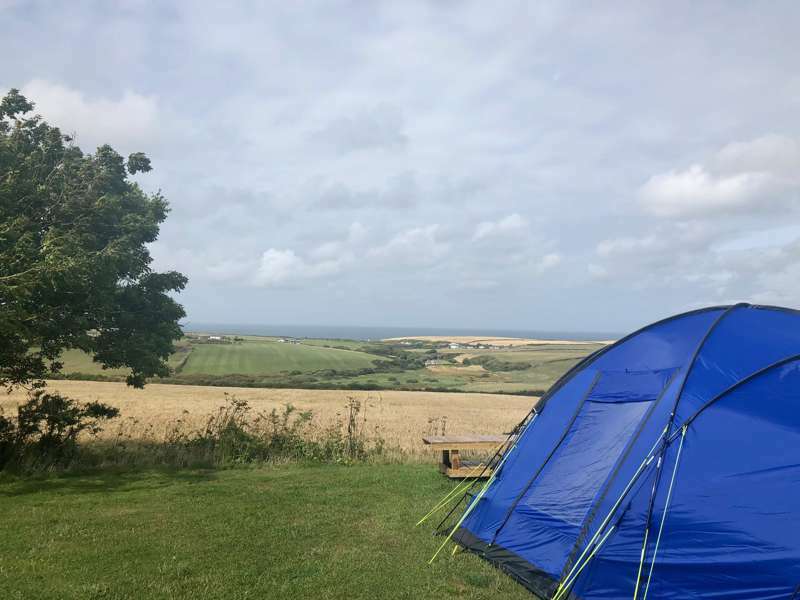 Absolutely loved our weekend here and this campsite made it all possible at the last minute and on a budget. FYI loo roll and soap not guaranteed, you'd do well to bring your own, and if you don't bring the sun with you too the cold shower might be interesting! 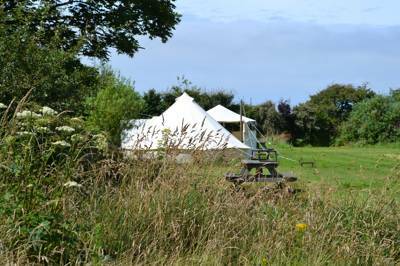 Tents, caravans, motorhomes (but with no electric or water hookup), dogs (on a lead), groups – yes. Large, noisy groups – no. Porthsele beach lies less than a mile walk away along the Pembrokeshire Coast Path. This secluded, sandy cove offers a quieter alternative to the more popular Whitesands further along, a hotspot for surfing. Voyages of Discovery (01437 721 911) run regular boat trips out to Ramsey and Skomer islands, as well as whale, dolphin and seabird watching excursions – sea fishing trips can also be arranged. For your adrenaline fix, TYF Adventure (01437 721611) run coasteering, kayaking and a hair-raising cliff climbing excursions. St Davids is bursting with historical sights such as the cathedral and Bishop's Palace, as well as several independent boutique shops. Further afield, there's plenty to keep kids entertained including Oakwood Theme Park (01834 815170), Folly Farm (01834 812731), Manor Wildlife Park (0164 665 1201), and Heatherton World of Activities (01646 652000). St Davids Food and Wine (01437 721948) is a family-run, eco-friendly deli selling all manner of local produce including cheeses, meats, and delicious preserves. They also make fresh sandwiches and baguettes to order. The Farmers Arms (01437 721666) is the pick of the pubs, with locals and tourists alike flocking to its large beer garden. The Bishops (01437 720422) offers home-cooked pub meals along with local ales. St Davids Kitchen (01437 720009) offers high-quality dining which prides itself on using local ingredients only – most produce travels less than 3 miles before it lands on the plate! Be sure to check out their extensive gin menu, with over 20 varieties to choose from (booking essential). Those with a sweet tooth should seek out Loshins Emporium (07791 840771) – a sugary trip back in time to the sweet shops of yesteryear. Get your gum drops by by the quarter as well as Pembrokeshire ice cream. For all other provisions, CK's supermarket (01437 721 127) on New Street has you covered. From St Davids Cross Square. Follow the sign left to St Justinians heading down Goat Street. Take the first right hand turn you can take on Goat Street, following the signs to St Justinians. Follow the road for 2 miles. Look out on the left hand for Rhosson Campsite wooden signs. Follow the signs left, drive through the car park where you will find the entrance to the site. The Celtic Coaster bus runs from St Davids in the summer months (June, July, August) every half hour. And in the shoulder season (April, May, September) every hour. The nearest train station is in Haverfordwest (15 miles away) and the 411 Richard Bros bus runs from there to St Davids all year round (timetable changes often, approx 1 per hour).